So huge and overwhelming, it’s not always easy to decide where to stay in Rome. With so much to see and do, if you are not familiar with the city, booking a hotel in Rome can definitely take you more time than you expect. As one of Europe’s most popular and cherished mainstream tourism destinations, all Rome neighborhoods have their own appeal. Depending on what holiday you plan, you might prefer an area instead of the other. Find out here what is the best area to stay in Rome for you and your family. Deciding what are the best neighborhoods in Rome to book your room is pretty personal and depends on the reasons of your trip and on your budget. If you want to visit its historical landmarks, you might want to check out the hotels in Rome city centre or near the Vatican. If you are on a short layover and need to catch a train, coach or plane, you might want to stay near Termini station. 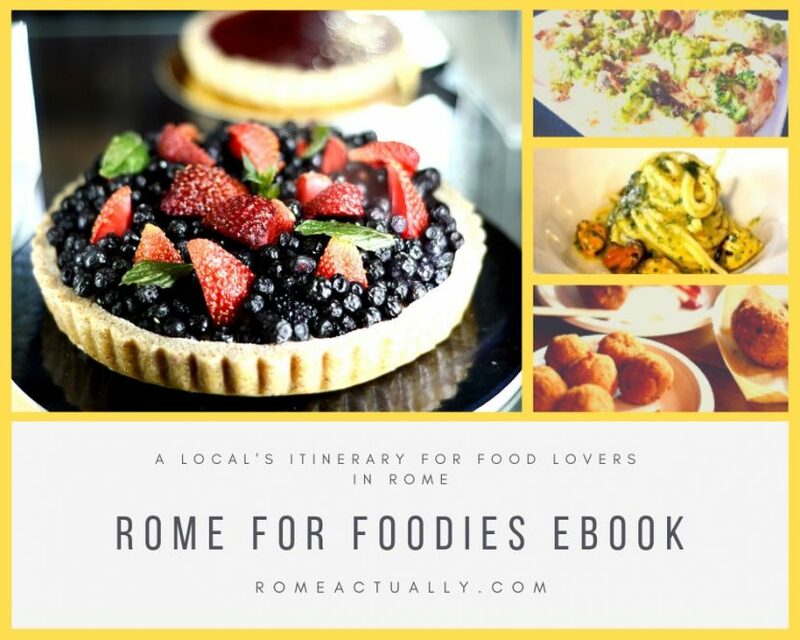 Below, I cover the most convenient areas for sightseeing and some of the best hotels in Rome city centre, while in my eBook I suggest five itineraries to explore five different Rome neighbourhoods. For each of them, I mention the best restaurants and what to see and do. This can be very inspiring if you are still deciding where to stay in Rome. Here are some of the most famous places to visit in Rome, including two of Rome’s most famous squares, Piazza Navona with its baroque charm and fountains and Campo de’ Fiori, the piazza symbol of the florist profession as it was in the past. This is considered the very heart of Rome and quite predictably, it’s always packed with tourists. I would probably avoid the restaurants around Piazza Navona and the Pantheon, while in Campo de’ Fiori area you can find some tasty options, both Italian and international. Since this is the best area to stay in Rome for first-time visitors, this stylish and elegant hotel located close to Piazza Navona is a great choice. Guests are treated with a free wellness centre with sauna, hammam and hydromassage bathtub, a small gym, a delicious restaurant and WiFi coverage included in the rate. The rooms are finely decorated and well-fitted with air conditioning/heating system, minibar, tea-making facilities, docking station for iPod, flat-screen TV with satellite channels, and a comfortable bathroom complete with complimentary courtesy set and hairdryer. A stone’s throw from Piazza Navona, Hotel Raphael promises a luxury stay in central Rome. The rooms are decorated with a wooden floor, marble bathrooms and great views of the Pantheon and St. Peter’s dome. All rooms feature flat-screen TV with a selection of international channels, air conditioning, minibar, high-speed WiFi, hairdryer, bathrobes, slippers and Bulgari courtesy set. Some rooms have a living room and some a private terrace. The breakfast is buffet-style and the on-site restaurant Mater Terrae serves vegetarian and vegan dishes. This hotel is pet-friendly. This hotel is located in one of the best areas to stay in Rome for holidaymakers, just close to Piazza Navona. This lovely design classic hotel in the city centre treats its guests to a Michelin-awarded restaurant, WiFi coverage all throughout the property and a rich daily breakfast. Set in a noble palace from the 17th century, its rooms feature flatscreen TV with satellite channels, modern bathrooms with shower and a hairdryer. During summer the restaurant moves to the terrace with a great view of the Janiculum Hill and the Tiber, but if you feel like a dinner out, all around the area is full with delicious restaurants and gastropubs. Contemporary style and well-fitted with all the most modern facilities, Hotel Lunetta is a stone’s throw from Campo de’ Fiori. Guests can choose from a variety of rooms and suites and can enjoy amenities such as a rooftop terrace and a pampering spa offering sauna, hammam, Jacuzzi and a series of facial and body treatments and massages. Rooms feature extra comfortable beds, complimentary tea and instant coffee making facilities, a non-included fridge and Eataly snacks, a laptop-size safe, night lights on each bedside, flatscreen TV, spacious bathrooms with a complimentary luxury courtesy set, bathrobes and slippers. With a large suite on the upper floor and the possibility to create suites with two adjoining rooms also in the other floors, Hotel Lunetta is a great option if you are wondering where to stay in Rome with family. We stayed one night here with my husband and lingered in the spa using the sauna, the chrome shower, the hammam and we booked a couple massage. After the spa, we were so relaxed that we didn’t have the energy to go out and we stayed in for the night. As a gift for honeymooners (even if we were not on our honeymoon), we found a basket of fresh fruits in the room so that was also our dinner, with a chocolate praline as a dessert, also a gift from the hotel. This hotel is definitely a great choice for honeymooners. Have you decided which area to stay in Rome? Check out our reviews of budget hotels and 5-star resorts in Rome. This is absolutely one of the most luxurious areas to stay in Rome. The Spanish Steps are extremely touristy and Via Veneto is the historical street where celebrities liked to hang out in Rome’s golden era, namely the ’50s and ’60s. Via Veneto is in the quarter called Rione Ludovisi and it borders with the historical Rome area Campo Marzio. Just to be clear, the vibe here is largely exclusive boutiques, opulent hotels, semi-hidden gems for the in-the-know traveller and elegant restaurants. With all the main landmarks within a pleasant strolling reach and well connected via public transport, this is definitely one of the most exclusive places to stay in Rome. Arguably the best place to stay in Rome city centre, Margutta 19 is a favourite 5-star hotel near the Spanish Steps. Elegant and stylish, the rooms of this hotel in central Rome feature flat-screen TV, minibar, iPad, Nespresso coffee machine, a modern bathroom complete with shower, bathrobes, slippers, complimentary courtesy set. Some rooms have a seating area, some a terrace. The hotel’s restaurant is run by Michelin-awarded chef Angelo Troiani, but if you feel like dining out, you can try one of the very best vegetarian restaurants in Rome, Il Margutta. This is one of the top hotels in Rome whether you are travelling alone or with your other half. One of the best 5-star hotels near the Spanish Steps is Fendi Private Suites. Luxury, stylish design, attention to the smallest detail are the ingredients that make this one of the favourite hotels in central Rome. The rooms feature flat-screen TV with satellite channels, marble bathrooms complete with exclusive courtesy set and products, comfortable beds with luxury linens, iPad, iPod dock station, air conditioning, floor heating, safe, pillow menu. An attentive staff and customer service complete a perfect experience in Rome. Located in a very exclusive area of the city centre, this is one of the favourite 5-star hotels in Rome. Close to Via Margutta, Piazza del Popolo and the Spanish Steps, guests here enjoy an opulent breakfast buffet style, an Italian restaurant and modern rooms. All rooms are equipped with air conditioning, flat-screen TV, and a spacious bathroom with a complimentary courtesy set. Some rooms feature a private terrace. This hotel has WiFi coverage all throughout the property and is pet-friendly. Close to Via del Corso and Piazza del Popolo, considered by many the best area to stay in Rome, Italy, the guests of this hotel enjoy an art design, finely decorated rooms, an on-site restaurant and bistro, a bar with delicious cocktails and a breakfast à la carte. The stylish rooms feature flat-screen TV with satellite channels, safe, tea-making facilities, minibar and coffee machine, desk and pillow menu. The marble bathrooms include complimentary courtesy set with the fragrances of Italian Laura Tonatto, a large shower or bathtub, 15-inch TV, and bathrobes. The hotel is pet-friendly. A 5-star hotel in Via Veneto, Splendid Royal is set in an old monastery from the 19th century and boasts a restaurant with a panoramic terrace on Rome’s historical centre. The spacious rooms are finely decorated and well-fitted with modern amenities. Some suites have a terrace with a view of Villa Borghese park. The Michelin-awarded on-site restaurant served Mediterranean cuisine and guests can enjoy a well-equipped gym. This opulent hotel is located in one of the most exclusive areas to stay in Rome, close to Via Veneto and Villa Borghese park. The sumptuous rooms are decorated in a classic style and with Italian furnishing and feature LED TV with satellite channels and internet connection. The delicious on-site restaurant serves Mediterranean cuisine and guests can round off a long sightseeing day with a lovely session in the local spa and wellness centre, hammam and gym. This is a 4-star hotel and favourite located in one of the best areas to stay in Rome. Set in a historical building, the hotel enjoys a peaceful silence due to its location on a quiet back street off the main road. The soundproofed rooms are decorated in an elegant classic style and feature modern amenities including minibar, satellite TV, queen-size or twin beds, WiFi, private bathroom with large shower. Rooms differ in capacity and can accommodate from two to up to four people. The hotel has also a choice of spacious suites that include also a writing desk, two 48-inch HD flat-screen TVs, one or two bathrooms depending on the size of the room, and beautiful views on the city or the private garden. The Sky Suite includes a 40-square-metre terrace and balcony with a view of Rome, two luxury bathrooms, a living room, a separate changing room, two flat-screen TVs. Guests can enjoy a drink in the hotel’s American Bar, on the large garden or the terrace with a beautiful view of Rome. Famous for its nightlife, Trastevere is a bustling neighbourhood at any time of the day. 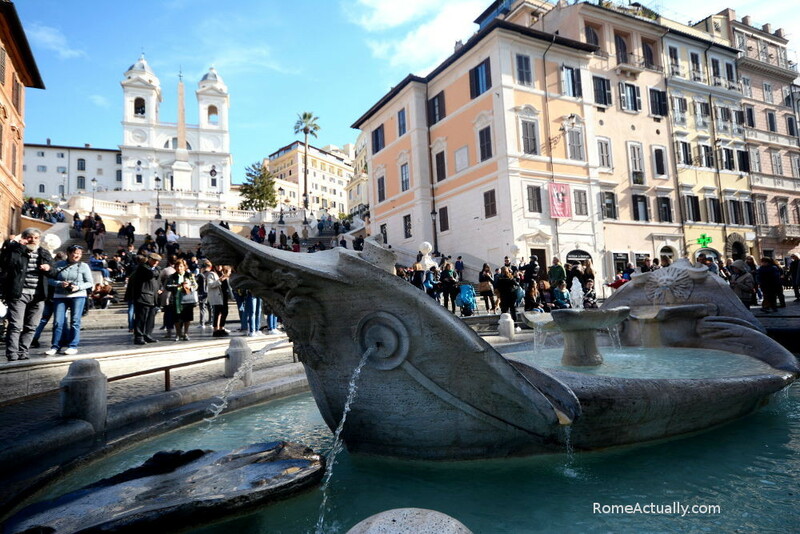 Popular among foreign tourists for the presence of John Cabbott University, this is a young area of Rome. The charm of this gentrified district with old buildings, narrow alleys and traditional shops and restaurants make it for one of the favourite areas to stay in Rome for first-time visitors. One of the best hotels in Trastevere, Rome, this five-star accommodation provides spacious design rooms, scenic views of the Vatican dome and Castel Sant’Angelo, an outdoor pool surrounded by a 7500-sq-mt garden and a modern wellness centre. Their spa is complete with sauna, hammam, facial and body treatments with Clarins products, massages, and a hydro-massage pool. The rooms feature free WiFi, LCD TV, iPod docking station, tea and instant coffee facilities, and a luxurious bathroom with complimentary Clarins courtesy set. Here it’s all about tourist places. This small quarter turns around its claim to fame, the gorgeous Baroque Trevi Fountain. A central historical hub, this quarter was ruled by the Colonna family during the Middle Ages. In the Renaissance, it was dominated by the presence of the papal “royal mansion” that today is the Quirinale presidential palace. A notable resident of the upscale Trevi neighbourhood was Michelangelo Buonarroti, who died here very old and alone. Among the areas to stay in Rome, Trevi is certainly one of the most exclusive, and this hotel reflects that. The elegant rooms are equipped with modern amenities, the on-site restaurant serves gourmet cuisine and the location is pretty hard to beat. Featuring air conditioning, minibar, flat-screen TV, safe, phone and WiFi connection, the rooms’ size ranges from 29 to 50 square metres. If you are travelling with your family, you might consider opting for a suite, the dépendance or the beautiful apartment, separate and very comfortable. The restaurant serves Italian cuisine prepared with high-quality products from the different Italian regions while the bar proposes a wide range of drinks, soft drinks, cocktails, liqueurs, distillates, snacks and organises live music every Friday and Saturday night. READ MORE: For affordable accommodation in the city center and other neighorhoods, check out our guide to the cheaper hotels in Rome. One of the trendy neighbourhoods in Rome, Monti is a stone’s throw from Termini train station yet it has lost the shabby feel the station around the area still has. Here, you will find good restaurants and pubs that managed to find a good balance between the touristy and the “authentic”, giving foreign visitors a perfect experience. Weekends here are crowded, and if you are driving, make sure you know you are bound to walk as finding a parking nearby is pretty hard. This is also the neighbourhood to find some of the best hotels near the Colosseum and other historical landmarks from ancient Rome. Among the best places to stay in Rome, Hotel Palazzo Manfredi offers a great view of the Colosseum from its terrace where guests enjoy their daily buffet breakfast and of the ruins of the Roman Forum from the rooms. Located on the site of four barracks and gladiators’ lodgings and gyms, this hotel treats its guests to a mini gym in every suite and in the common area with a personal trainer, and a wellness centre featuring a wide range of massages. The spacious rooms are decorated in a fine classic style with warm hues and feature modern amenities such as WiFi, Nespresso machine, Bose audio system, safe, flat-screen TV and marble bathrooms with bathrobes, slippers and exclusive courtesy sets Acqua di Parma. Set in a historical villa, this fantastic hotel is one of the best places to stay in Rome close to the Quirinale presidential palace. Villa Spalletti Trivelli treats its guests to a modern spa, a relaxing garden and rooms finely decorated with a blend of classic and contemporary given by the period furniture and modern decor. All rooms feature LCD satellite TV, bathrooms with bathrobes and slippers, and the suites include also a separate seating area. Breakfast is buffet style that you can have on the terrace during the good season. Guests can also enjoy a wellness centre that includes gym, sauna and hammam. If you are still looking for where to stay in Rome, this great accommodation is a perfect option. Located close to the Quirinale presidential palace, the comfortable rooms of Rome Glam Hotel feature air conditioning, hypoallergenic king-size mattresses, tea and coffee making equipment, a minibar, high-speed WiFi, flatscreen TV with satellite channels and bathrooms with a large shower, complimentary courtesy set and hairdryer. The daily breakfast is buffet-style and the lounge bar serves cocktails and aperitifs to round off a long day in relax. The “posh” district in Rome, Parioli is very much a residential area and at night, apart from some bars and restaurants, pretty quiet. 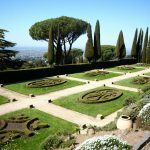 The area includes two of the most important parks in Rome, Villa Borghese and Villa Ada. So it’s ideal if you like to spend time in nature and you cherish your jogging/cycling routine. There are also several lesser-known landmarks to visit if you are a fan of offbeat travelling. Located in a residential Rome area, this 5-star hotel offers elegant rooms and a restaurant that serves gourmet cuisine. The H’All Tailor Suite is close to Villa Borghese park and Piazza del Popolo/Flaminio. The rooms feature flat-screen TV with satellite channels, air conditioning, a private bathroom equipped with every comfort, bathrobes, slippers, and courtesy sets. Some suites have a panoramic terrace and a hydromassage bathtub. Set in an elegant building, this is a small hotel in Rome features design accommodation and a nice garden. The rooms include a flat-screen TV with satellite channels and WiFi internet connection alongside a marble bathroom complete with clean towels and courtesy set. Another favourite hotel in Parioli neighbourhood, Parioli Place is a B&B with high standards. Its elegant design rooms feature flat-screen satellite TV, free WiFi, large working desk, luxury linens, minibar, tea and coffee making facilities, private bathroom with spacious shower and exclusive courtesy set. Some rooms feature a terrace or a patio. The breakfast is a buffet with freshly baked pastries and bread, jams, fruit, cheese, pies, cakes, and whatever you need will be provided by the staff. If you are still wondering where to stay in Rome, this is one of my favourite areas. Great restaurants, nice pubs and bistros, enticing shopping streets, close to major tourists landmarks yet more a residential vibe. It’s well connected with public transport such as buses and metro and has also a large daily market where you can do your own grocery shopping, Mercato Trionfale. It’s the area right around the Vatican, so you will definitely see a lot of tourists, but in the evening you can relax with a more “local” feel. One of the top-notch restaurants in the city, Michelin-starred La Pergola is famous for its gourmet cuisine. The hotel is a real treat and among its favourite facilities are a fitness centre with Technogym equipment, two tennis fields, and a great spa with sauna, hammam and covered pool. The rooms feature satellite flat-screen TV, all modern comforts and amenities, a marble bathroom and a great view of Rome. READ MORE: Check out our detailed guide for more hotels near the Vatican. Very busy area, Castro Pretorio and Stazione Termini are well-connected to all other neighbourhoods and are close to pretty much anything you will be looking for, from restaurants to landmarks to different nightlife options. Right in Piazza dei Cinquecento, at the entrance of Stazione Termini, this hotel offers luxury rooms, a gym and a rooftop terrace. The rooms are decorated in a modern style and feature a minibar, free WiFi, air conditioning and some a view of the nearby Roman ruins. The suites include a seating area. Guests can enjoy an on-site bar and a restaurant that serves classic Italian dishes and regional specialities. Located in one of the best areas to stay in Rome, this 5-star hotel is a real treat right in the city centre. A stone’s throw from the Diocletian Baths, guests can enjoy a wide wellness centre, a restaurant serving Italian and international recipes, and a private garden. The rooms are modern and luxurious and feature all necessary facilities including TV, air conditioning and private bathroom. Close to several landmarks and less than 1 km from Santa Maria Maggiore basilica in the Esquilino neighbourhood, this hotel features rooms with WiFi connection, coffee machine, flat-screen TV with satellite channels, private bathroom with shower and complimentary courtesy set. Even though in a very busy area, the rooms are quiet and guarantee a good night sleep. The daily breakfast is continental buffet-style. READ MORE: Are you on a short layover or on a business trip to Rome? Check out more hotels near Stazione Termini.